While Nike’s React Element 87 takes up much of the summer spotlight, the EXP-X14 has been a relatively slept-on model since its unveiling a few months ago. This weekend, atmos dropped a fresh new colorway to close out the warm-weather season. 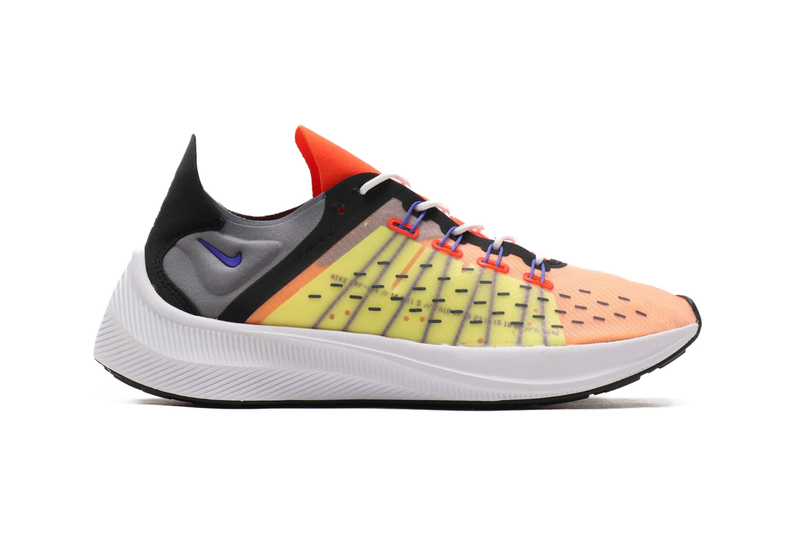 Introducing the Nike EXP-X14 in “Team Orange/Persian Violet,” this trainer sports a vibrant color scheme that pops out even more against its contrasting black and grey panels and white midsole. This pair also features alternating Swoosh hues at the medial and lateral ankle lines. If you’re not quite ready to say goodbye to summer, then these will help you extend the season. The Nike EXP-X14 “Team Orange/Persian Violet” is currently available at select stockists, including atmos. In other footwear news, Nike delivered an official look at its anticipated Skepta x Nike Air Max Deluxe SK.